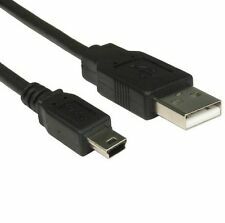 3m USB 2.0 A Male - Mini B Male Cable (Black). Length: 3m. Connectors: 4pin USB Type A-male to 5pin USB Type B Mini-male. Our USB Cables are a high quality shielded 28awg Cable. They are 4mm thick. For SAMSUNG GALAXY S9. For SAMSUNG GALAXY S9 Plus. For SAMSUNG GALAXY S8. For SAMSUNG GALAXY S8 Plus. Type-C Data Sync & Fast Charging Cable. Sync & Transfer Data. For SAMSUNG GALAXY A3 2017. For SAMSUNG GALAXY A5 2017. High fidelity, provides lossless audio experience. Material: TPE Cable. Note:This audio can only support the system 10.2 and previous systems, but does not support 10.3 or higher systems. Answering and making calls are not supported. Features: 100% brand new and high quality. Convert Your Micro Usb to Type-C. Plug your existing Micro USB into the adaptor and plug the USB C end into mobiles or other device compatible with USB C. USB 3.1 Type-C Male to Micro USB Female Adapter Converter USB-C Adapter Charger. Micro USB Female to Type C USB 3.1 Male. High-speed Data Syncing (Up to 480 Mbps) and Charging. 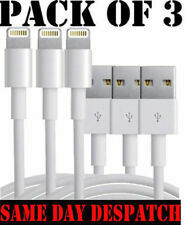 Compatible with: Most Devices that uses USB 3.1. Minimalist design without any installation required, just simply plug and play . Package included: 4 x Micro USB Female to Type-C USB 3.1 Male Adapter Compatible with: Google Pixel / Pixel XL Samsung Galaxy Note 7 Acer Aspire Switch 10 V Acer Liquid Jade Primo Acer Predator 17 Apple MacBook 12" 2015 Asus G752VT Asus Transformer Book Flip TP200 / Transformer Book Fantec ALU-25U31 USB 3. Samsung Galaxy A3 2017, Samsung Galaxy A5 2017, Samsung Galaxy A7 2017, Samsung Galaxy S8, Samsung Galaxy S8 Plus, Samsung Galaxy Note7. FAST CHARGING DATA SYNC TYPE C CABLE FOR SAMSUNG GALAXY S8/S8 ,A3 2017,A5 2017,A7 2017.
iPhone Charger White Anker 3.3FT [ 1 METER ] Nylon Braided Charging Cable. USB Type-C Charger White Anker 3.3FT [ 1 METER ] Nylon Braided Charging Cable. Your iPhone can store a comprehensive assortment of files, music, and audiobooks that you can take with you anywhere. If you would like to access this media while you're travelling by car, you can use an iPhone AUX cable to pair your device with the speakers in the vehicle. 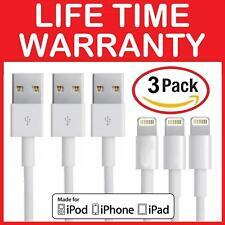 eBay can show you a range of iPhone AUX cables and their main features. How do you connect iPhone AUX cables to your vehicle? AUX cables for the iPhone are one of the simplest ways to connect your mobile phone to your car's electronics system. However, there are a few basic steps you'll need to take before the cables transfer data between the devices. Insert the leads Plug one end of the iPhone AUX cable into the headphone jack on the end of the phone. Insert the other lead into your car stereo's AUX IN port. Switch stereo modes Locate the appropriate button on your radio and flip the switch to put it in AUX mode. Adjust the volume Use your iPhone to adjust the volume of the media you are playing. You can also change the stereo's volume as necessary. What can an AUX cord do? Hands free calling If someone calls you on your iPhone while you are driving, you may be able to route the call through the car's system to hear and speak with the caller while driving safely. Navigation You can transfer the audio from any navigation apps on your phone to the speakers in your car. An AUX cable can help you use your iPhone to get accurate directions to your destination. What types of cables are there? 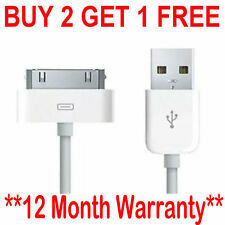 eBay offers excellent deals on iPhone AUX cables in several colours or lengths. You can choose a colour to match your car's interior or your phone. If you want to have more room to position the phone, you may wish to get a cable that is several feet in length. You can also choose an AUX cord that has LED status lights or braided construction.